Casual yet fancy, this button down has a longer body that 1) stays tucked and won't pop out when you raise your hand or the check and 2) is naturally slimming. Aka the perfect date night shirt. Added bonus: there's a hidden interior yellow back detail just for you. Heyo, new fabric. It's 100% cotton that's been dyed using a dry process (which uses waaay less water). 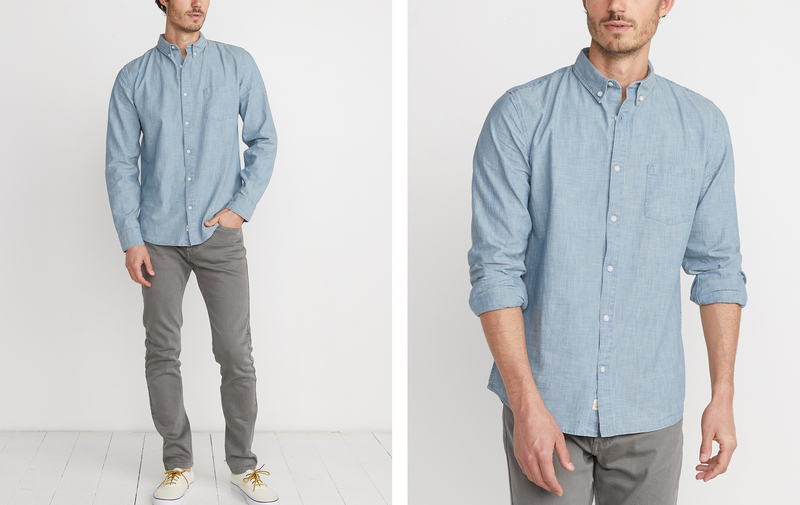 The indigo dye will also fade out over time, meaning this shirt gets better the more you wear it.